You might have heard the term VPN quite a bit recently. Well, these are to help protect your connections and help secure your data and personal information. As so many VPN’s have appeared on the market which is the best one to choose. 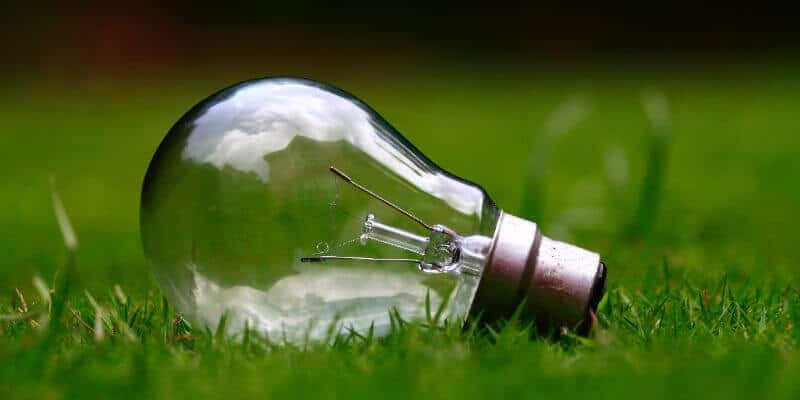 They are not all equal, and some come with more benefits than others, while some are more suited to specific applications or their performance and world coverage varies. We have rounded up ten of the best and looked at how they stack up against each other in real-world scenarios. Read on and find out how the best are best suited to working for you. The more of our lives that are spent online or permanently connected to the internet, the more we become prone to attacks from hackers and anyone else who wishes to try and look at the information and data we send and receive. Such is the extent of us living our lives being connected we seem to forget all these risks, and we have become comfortable using WI-FI as a means of connection that is not blocked for anyone. It might be the home or public WI-FI zones which provide convenience, yet they are the most accessible places for hackers to snoop. One of the most recent intrusions into online privacy has been ISP providers now allowed to sell your browsing history without asking your permission. It appears net neutrality and censorship might be just around the corner. What VPN Service suits your needs? Are VPN’s Safe to Use? How Do I Test My VPN? 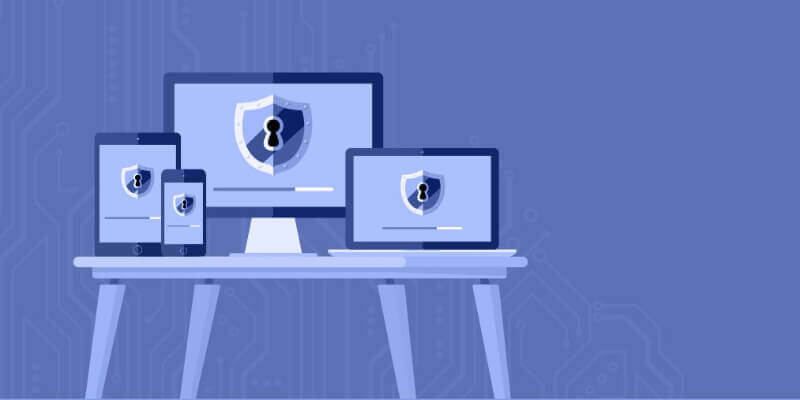 One of the easiest ways of protecting yourself from having data retention of your details, or making it more difficult for a hacker to penetrate your device, is to begin using a VPN service. These help to mask your internet usage and your location. As an aside they allow us to use the internet as it was intended, and we can now unblock websites that are out of our viewing area for whatever reasons were given. ExpressVPN has built a solid reputation for performance and customer support. With a focus on usability and a straightforward plan, they are the one to beat, and any ExpressVPN review will most likely tell you the same. When using ExpressVPN, you only have to look at the benefits and the package as a whole. The downsides are almost negligible and are nothing to do with performance or service. Given the fact that they do everything nearly perfect you can see why they are the number one choice and the most reliable VPN service. Price can be a significant hurdle for many users, yet you do get what you pay for. It is one of the fastest, it works with Netflix, they allow torrenting, and they are TOR compatible. That is only half of the benefits that you get for your money. You also get the advantage of a “Kill Switch,” so if you are logged in anywhere when you lose your connection, ExpressVPN will kill the link to those sites. It is not often you get protection when you have lost your means of protection. Apart from the price the biggest gripe might be you can have only 3 users connected. To this, there is a simple solution if you have a compatible router you can install it on there. This counts as one device so any other users in your home can connect without having to install it on their device. The company claim they offer the most secure VPN connection. If this is true or not we will quickly find out. With the company being based in Panama and outside of the five eyes jurisdiction you would think that all was okay. The strange thing is when you sign up for their service the payment goes via CloudVPN which is located in the USA. NordVPN has said this is only how the payments are made, and it does not affect how their service runs but does it? As for everything else, they go way out in front of everyone else for security, and they top this with their double security feature which routes your data through two VPN routers. The bad side you do take a significant hit on performance for this. With plenty of features available such as a kill switch, DNS leak protection, Smart play and Onion router over VPN they look pretty set as a viable VPN host. Support is quite rapid, so you will not wait long for a reply and pricing has no plans just a varying rate depending on the lock-in period you sign up for. They are good but they are let down by severe speed issues, and everything they offer can be found elsewhere. While being a decent VPN depending on your needs. The claims of being “The world’s best VPN service.” Are they justified or not for a product that promises to be feature rich. 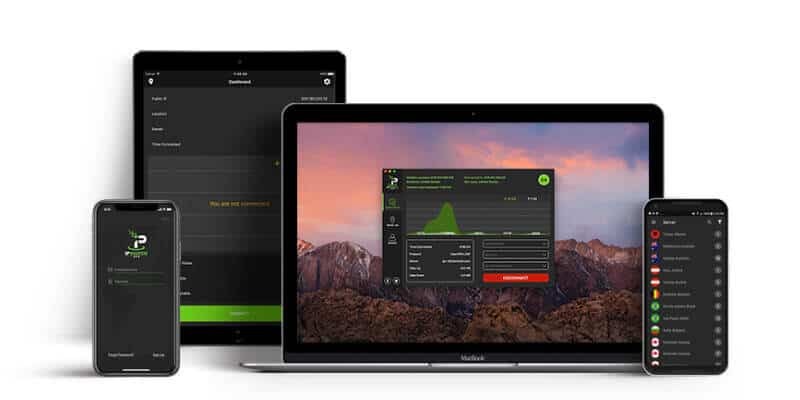 IPVanish claims to be the most trusted VPN service in the world. That is a hard claim to back up while they are in the USA (5 eyes). That being said what they do they are pretty good at and their reputation puts them closer to the top of many reviews. Price wise they can be just the wrong side of affordable and like NordVPN they do not offer a tiered set of packages. It is a shame really as they offer speeds that are just under 20% slower than not using a VPN so all your streaming or gaming will not suffer. Installation of the software is painless apart from a system reboot, and the interface is pretty clean, however, not as user-friendly as some others. An IPVanish account gives their customers the free SOCKS 5 proxy and although it means there is no software to install it knocks you back on protection or encryption. There is, unfortunately, no Netflix, and their support seems to be wildly miss-sold 24/7/365 it is (no live chat). On the whole, they are okay, yet for a company that is based in the USA (5 eyes), they need to up their game to make you consider them for an IPVanish download. While supporting an extensive network and a wealth of features PureVPN looks excellent on paper and a technical point of view. Is everything as clear as it makes out and is it worth a PureVPN download? PureVPN has been around for over ten years which makes them one of the oldest VPN providers, not to mention one of the largest. The PureVPN server list of locations is enormous. Although they are based in Hong Kong which is quite close to China, so at some point, they might have to rethink their headquarters. They have introduced their virtual router onto the Windows platform so you can add up to ten devices connecting to a PC or a laptop. They also have a split tunneling feature that allows you to send traffic through the VPN or not and use your regular connection. As with some of the others, they include a kill switch to be on the safer side, and they also provide a NAT (network address translation) Firewall that can close any hacking holes there might be. All this and they are highly affordable if you sign up for two years. Things look pretty good for them, yet the features they offer don’t always work all of the time, and their download speeds are somewhat tortoise-like. They also fall foul to DNS, IPv4 leaks and IPv6 leaks. To sum everything up without going into all the details. For one of the oldest VPN services out there, they should perform much better than they do. At the time of writing, for an entirely paid-up membership, this VPN is one of the most popular and one of the cheapest options. Does this make it a worthy contender? If you are one of the most popular VPN services on the market, you must be doing something right. PIA is short for Private Internet Access and is owned by London Trust Media. Inc. This is one of the first things that is not right; they are based in the US (5 eyes again). Their network only reaches 24 countries buy they have whopping 3000+ servers so if you fall into one of the countries served; you are guaranteed a connection from somewhere. Price wise, if you sign up for 12 months, they become one of the cheapest out there. In the speed department, for a service that works out as reasonable as they are, you would expect dismal performance. This is not so; they are pretty high up in the speed stakes. Netflix does not work even though some users have reported success.Yet if you can live without that, and the fact that their live chat support appears only to be available in the US. You can see from this PIA VPN review, they can be a great option depending on where you live geographically. The US and Europe might be well catered for well, but in Australia, the story might be very different. While being one of the better VPN services on the market, can it live up to it and provide a service that is as good as its name. CyberGhost is based in Romania, so it is not a part of the dreaded 5 eyes and comes with a team of 55. They reportedly have 15 million + users who are quite impressive. With decent coverage of locations and servers, they should be well placed to serve anyone, yet Asia is not well catered for. The pricing they have no limited functionality for different price scales and sign up for two years, and you get a massive 77% discount. Even reading the small print, CyberGhost VPN no logging policy means no logging. In the speed stakes they are quite average, and for a service that is so cheap, you are getting what you pay for. It must be mentioned; they are faster than some VPN’s who charge a lot more. Installation is a breeze, and the interface is colourful and works as it should. They are safe for torrenting, and they even throw in more anonymity when downloading torrents via their untraceable servers. Customer support can be a little iffy, but they now have Netflix support. Most of all though they have some scathing reviews on the internet, and they had some security concerns (allegedly) in 2016. Although they appear reasonable on paper, they should be in a better position and signing up for two years (no matter how cheap VPN they are) could be a bit of a mistake. An excellent name for a VPN but do you get what you pay for with their service? There is more to having an easy to use interface. Does HideMyAss software deliver in other areas? 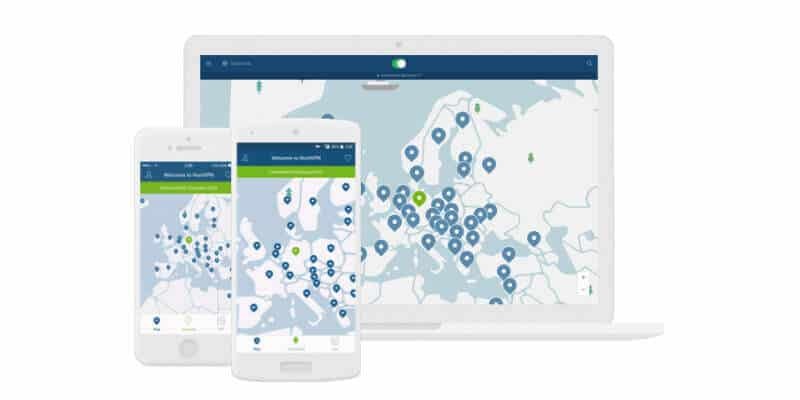 HMA Pro VPN is one of the largest VPN providers going although a majority of their servers are located in Europe and North America who have a combined total of just under 800 servers and Asia and Oceania have around 100 between them. Connection wise you are limited to a pitiful two devices, yet one of these can be a router (counts as one). Download speeds are above average, yet if you are in Australia, it might be different with so few servers. Security is as good as many others, so there is no concern there. Log retention is questionable, so it is better to err on the side of caution and assume they do. Customer support should you need it, is not as fast as their connections. Although they do a lot that is right and on the money, there is just a little too much of a worry you might find yourself on your own if you just happen to do anything illegal by mistake. There is a lot to like, but a risk is a risk at the end of the day. Compared to many VPN services StrongVPN is quite unknown. With being in the industry for twice as long as most of their rivals, does this make StrongVPN twice as good as the others? StrongVPN have been around for quite a long time, in fact, they have been around double the length of most of their competitors. For this reason alone you would expect them to be at the top of their game, and you would expect a StrongVPN free trial. They do not have the most extensive network coverage in the world with just under 700 servers in 24 countries, yet for many, this should be more than enough. Should. One point in their favour is they work with Netflix at the moment. Their support staff is helpful and pretty quick in replying. For security, they used the tried and tested AES which is what the NSA, FBI and the CIA use which could come in handy as StrongVPN fall under the 5 eyes being based in the US. Luckily they do not keep any logs, and with the same security as the government, you know nothing is going to leak out. The StrongVPN client download interface still looks like it was the first one they developed. It is not the easiest to use, yet it matches the speeds of their connections quite well. They are both shocking. Without knowing which servers you are going to get your connection speeds can be up or down. They have improved, yet they have not developed enough. A crowd favourite due to ease of use and robust security features. They are also the only company to allow a third party audit their software and systems. Do they stack up though as a market leader? TunnelBear is one of the people favourites which might be attributed to their ease of use and dedicated approach to security. TunnelBear offers both a free version and a fully-fledged paid for the offering. They are based in Toronto and are included in the dreaded 5 eyes agreement, yet they keep no logs, so if anyone comes to a knocking, he or she has nothing to show them. With servers spread all over TunnelBear support seems to be good yet they seem to have missed Africa. Their app interface is pretty slick and easy to use, and there are browser extensions for chrome and opera. They also offer another extension which blocks trackers and can be used on its own or in conjunction with their other services. On the price front, if you pay yearly for a TunnelBear premium account you can get a hefty discount, and that comes with unlimited data which is a good deal. Security is on par with the best providers on the market, so they appear to be careful, secure and you get the GhostBear feature which masks your IP address from looking as if it is coming from a VPN connection. TunnelBear is also the only VPN service to ask a third party to audit their whole operation for security. Although they might use the results to correct any security concerns, they should take the opportunity to speed up their connections. Connections that are less than half speed are not good, especially when others run at over 80%. They do not offer many other frills (Netflix, torrenting, etc.) so although they are decent enough, they lack somewhat in their offerings. 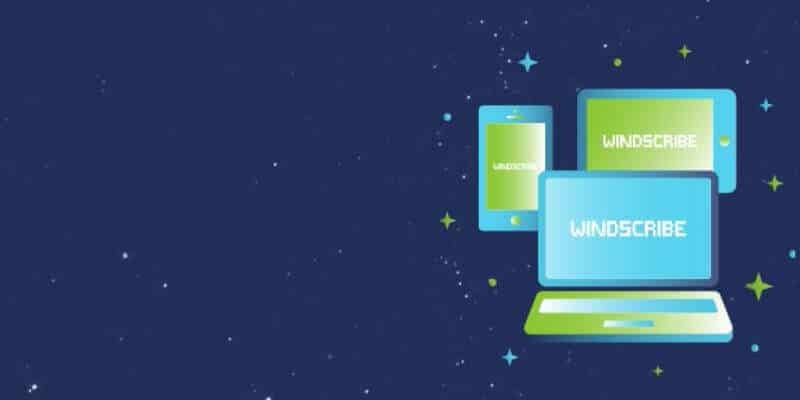 Windscribe is one of the newest VPN providers around. With a free version as well as premium, do they do anything different in an already saturated VPN marketplace? Download Windscribe VPN and give them a whirl. Windscribe Free is a Canadian based VPN service provider and what they offer puts many paid for options to shame. The free version is a cut back option compared to their free offering yet it still has many positives going for it. They are entirely new to the game and have only been in operation for a little over a year. The free version, unfortunately, comes with a 10GB cap on bandwidth but to get a feel for it or if you only use it for regular surfing, it could be just enough. One primary concern is they fall inside the 5 eyes region, yet on top of this, it came to light that the Canadian CSIS (NSA) has been illegally accessing citizen’s metadata for over ten years. Windscribe does have pretty good security in place with some robust encryption. All in all, they are pretty average, yet the speeds of connections are placed well below average. The UK server would not even open one page. As a free version, it could be just the thing to test them from where you are, or it will be a good way to scratch them off your list as a possibility. Due to geographical location or different device or needs of users. The choice of VPN account can vary wildly. Not all give the same benefits, and internet traffic is treated differently. VPN Service providers aim to provide a service that covers all their customer’s needs, yet they have to make sure they can still operate as a business. There are a few which are only jumping on the Secure VPN bandwagon without being able to support their claims fully. The best and cheapest VPN rarely go together, especially when you want the best for a particular reason. Here we have listed which VPN is best for the most common reasons that are asked. From the US through Europe to the far reaches of the other side of the globe, here you will find the best VPN Australia to meet your specific needs. ISP’s have made a significant clampdown on the best torrent sites with some of the largest being shut down, and a good example being the Pirate Bay. Now governing agencies are checking heavy users for downloading from torrent sites, legitimate or not. With most torrent software, anyone can see the IP address of other users when you make a torrent download. 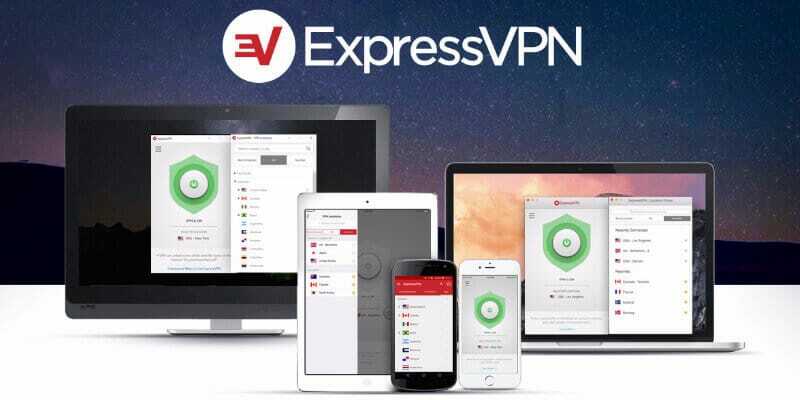 With its high speeds and reliability, ExpressVPN is the outright winner and is the best VPN in Australia for torrenting due to the high saturation of servers and locations around the globe. The best VPN service can be looked at as being popular because it allows privacy when downloading, and they also allow you to unblock certain websites in other countries. One of the most popular being the US Netflix. ExpressVPN wins again. Video streaming can soon become a significant bottleneck in your connection, so a Netflix VPN with good speeds is crucial when watching HD or 4K programs. With the numbers of servers and the number of locations around the world, when you look at how to get American Netflix in Australia. No other fast VPN can match ExpressVPN. Mac users have long thought they were safe from having to have security like PC users. Things have changed, and although they are safe from some threats, the security of their connection is becoming a concern. 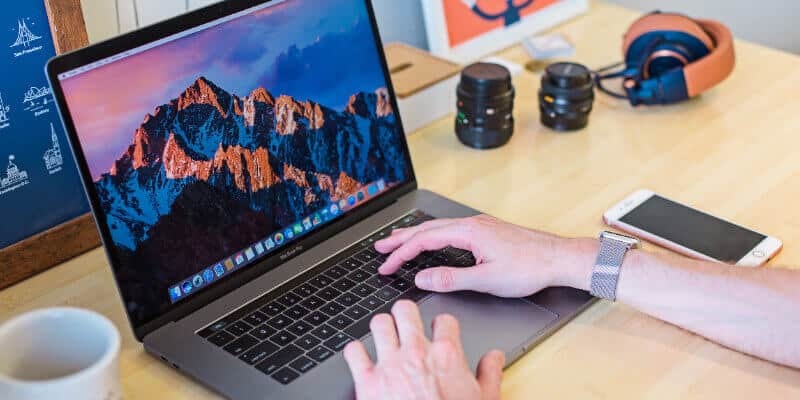 NordVPN ranks the highest for a MAC VPN and brings with it a host of welcome features a robust service set and a user interface that gives much more than the PC counterpart. It provides the same service yet you can filter the servers and choose the one that best fits your needs be it P2P file sharing or video streaming. This you cannot do with other VPN services, and it is easy to see why NordVPN is the top VPN for MAC users. The interface of IPVanish appears to be quite basic yet this is not to detract from the good reliable Android VPN service that it provides. The company is high-profile and delivers pretty much of what it says, and the only real gripes are the support is a little so-so, and it is based in the US. On the upside, it shows no sign of IP leaks and even includes a Smart DNS for all subscribers. With servers in over 60 countries, you have plenty of coverage for P2P file sharing or video streaming. The VPN setting for Android is pretty much set once you have installed the app. A worthy winner. The IPVanish app has been updated to deal with a couple of customers quibbles, and since then it has risen to the top pretty quick. You can set it to always on which is quite handy as our iPhones are rarely turned off. It might be a little technical for new users, yet it comes with some powerful features that are useful to make sure you keep those prying eyes away and the IPVanish app comes out on top for many speed tests when used on the iPhone. It does what it says and also delivers on what it promises. As Microsoft aim to give their users everything they have even tried to provide a solution for internet connections. It is unfortunate the Windows built-in VPN client does not offer the same level of performance as NordVPN which comes out on top for Windows-based clients. With the automatic configuration, it is easy to set-up for new users. Also coming with much more flexibility if needed, and you can opt between servers to fit your needs. All in all, it gives all you need and that little bit extra without any compromise on security which uses AES-256-CBC in the OpenVPN protocol by default. If you are using Kodi, the open-source home entertainment software, you might have seen that some countries are stamping down on users who are using it to stream content. As well as geographical limitations and security issues in Kodi it makes much sense to have a Kodi VPN in place. With encryption that is rock-solid and a no logging policy IPVanish Kodi climbs into the top spot. It is affordable and delivers plenty of speed (a 15% increase compared to others). With many servers in suitable locations, there are unlikely to be any issues with streaming any content you might wish. China has many restrictions in place for the internet. It affects not only residents but also travellers. Because of this, there are many VPN’s that don’t work because of the China VPN ban. NordVPN has announced they now work in China which is useful for users (especially anyone in Shanghai or Beijing). Their fix means they will be safe for a good while and makes sure they can give the best streaming speeds, and they can access Netflix US and Hulu which block many of NordVPN’s rivals. For a VPN in China that works and is still able to deliver on its promises, NordVPN is the best affordable choice. Many people want to use a VPN service and wonder why they should pay for one when there are many free services on offer. On paper that does seem a good question yet most free VPN software are cut back versions of the paid for apps and only intended as a sample of what is on offer. These give basic functionality and nowhere near as many features or server coverage as their paid-up counterparts. A prime example of top free VPN providers is Windscribe free. Their offering is free for as long as you wish, yet there are limitations. Server locations are cut back from 50 to 11, and you have a 10GB month allowance. This might be okay for casual surfing yet if you stream any content this will quickly be consumed. 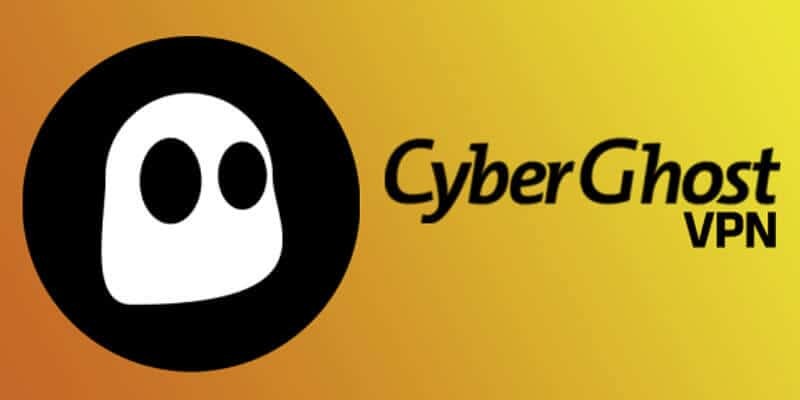 CyberGhost is another company who offer a free trial, and it does give you full protection yet you also have limited coverage and performance takes a hit because of this. With the paid up version, you can add more devices, and you get the built-in ad-blocker as standard as well as the full level of security. Another top free trial VPN service provider is TunnelBear which offers much the same as other top name providers. Once you have studied the facts and the figures to find which is the best free option or the best paid for the option you will quickly see the difference between the two. There might also be one other factor that not many people consider while they are looking at a free VPN service. This comes down to location. Many of the free versions have limited country locations and restricted numbers of servers. While these might be fine in the US and for Europe, is a free VPN in Australia going to work anywhere near as good as a more centralised location? As much as anyone would love to have a free version that gives all the benefits of a paid for version. It is unfortunate that this will never happen. These companies that are mentioned can only provide a free trial or a limited feature set copy by the money they make from the full paid options. For any household who has more than one connection and who wishes to protect their privacy, a paid-up option can be a small price to pay, especially if you can add the VPN service to mobile devices for when you are away from home. Free versions do have their pros, and if you just need simple protection while travelling, one of the trials on offer are worth using, yet for full-time use or full strength protection and privacy the cons totally outweigh any benefits you can have from a free version. Paid versions when choosing the best one for your needs to give you the best on offer with no restrictions. Moreover, you will find with a full complement of VPN services Australia and other locations to choose from in that geographical area, connections are not a problem. Online streamers need to make full use of VPN services that allow them to geo-shift their locations to access various content from different countries. It does not matter if you want to watch Hulu in Australia, or you want to do some binge-watching of your favourite shows from the UK. For the BBC iPlayer, Channel 4 on Demand and iTV player your location must appear to be in the UK as to gain access. No matter which VPN service you choose there should be servers in that country, or you still won’t be able to gain access to their content. Much is the same with Putlocker and HBO Go Australia which has been geo-locked. You need a VPN service to access these while at home or if you are travelling. The more time goes on, the harder it gets for viewers to stream their favourite shows. The top VPN service providers work hard to make sure this content can remain available for your enjoyment. This is one of the main reasons users are looking toward using a VPN service. Privacy is a huge concern, especially in a few areas. The first being public WI-FI hotspots which leave you open to hackers. They use these to gain access to a person’s device and ultimately to data and personal information. There is then the threats imposed by governments who are starting to enforce that ISP’s retain records for online tracking. One you might be familiar with is the Australian metadata laws where Australian telecoms companies are required to keep six forms of metadata. This opens up a massive can of worms as this information can be accessed and used without your knowledge or your consent. A VPN for private browsing is more important than ever and is now much more of a threat than any Ad networks; thankfully these can be blocked as well which makes browsing experiences much more enjoyable. Sports fanatics love to keep up with their latest teams and most of this they love to watch live, regardless of the time of day or night. As the sport has become such a huge business, the broadcasting of these is based on the geographical area using IP related data. This can block all your favourites, no matter if it is the English Premier League, beIN sports in the US or Formula 1 from Sky Sports. With mobile devices, this can be even more restrictive as the phones GPS data can tell the broadcasting companies where you are physically located. VPN tunnels can be the best way to circumvent these restrictions, yet some services require you to connect to a server in the vicinity of the teams playing. A fully fledged company should have more than enough servers in ideal locations that will allow you to keep up with the latest matches of live NBA and NFL. There are a high number of fans of downloading content, and it can be either movies or music among other things. A significant amount of this content might be illegally distributed yet that is not to say everyone is downloading illegally. Many legitimate sites use torrents as a means of spreading their wares, yet ISP’s or anyone involved with digital copyright might not look at it this way. To safeguard yourself against this it is advisable to find the best torrenting VPN that can give you the best world coverage and the best speeds regardless of your geographical location. By the way, laws are clamping down on users prevention is better than cure. Anonymous downloading does not have to be illegal, but it is better to be free from anyone who might think that is precisely what you are doing. This type of user can include a regular person who has an online store all the way up to multinational companies who make full use of employees who are on the road or remote workers who connect to their workplace from their homes. The VPN uses are numerous from secure VOIP calls to sensitive customer data or log-in credentials. All of this can be protected by the use of a VPN service that gives secure tunneling protocols and data encryption. Now with secure socket tunneling remote or roaming workers can access a business network as if they were sitting in the office. VPN solutions for small business does not have to be expensive, yet it is a cost that is worth bearing if workers connect through public WI-FI hotspots. Breaches of customer data are continually in the news and can have devastating effects on business. This can be as much as a reputation as any financial costs that might be incurred. 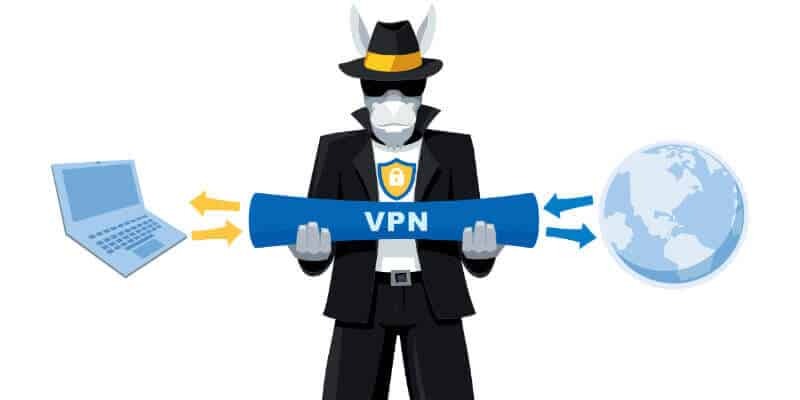 VPN is an abbreviation for Virtual Private Network and is a service that allows you to connect to the internet through a third-party’s servers. This does not mean you can connect to the internet without an internet service provider. When you connect to the internet, you do so through your ISP, and from here you link to any website you are visiting. All of your information passes through your ISP and can be viewed or logged by them. When you use a VPN service, your connection is masked and encrypted, so even your ISP is unable to see that you have made a connection. To all intents and purposes, you have become invisible to everyone apart from you and the VPN provider. There are many reasons to use a VPN network service, yet one of the main ones is the protection of personal information and privacy. Many countries are enforcing your ISP logs your browsing history which is a massive invasion of privacy. Hackers can also break into your system and install Malware. This can include many hidden programs that record what you do and send this information back to them so they have access to any log-in details you might have stored on your device. You also have the opportunity to view content that is blocked as you do not live in the same geographical region. Using a VPN, the internet will become safer and without (as many) restrictions. VPN’s are very safe to use yet there are a couple of things you should be aware of. In most cases, a VPN provider will state they hold no logging information. This should be checked depending on the country where your VPN service is based. Some countries make it compulsory to retain logs regardless of what the company states. On rare occasions, you can find a company state they do not monitor a user’s sessions. Some do as it helps with any troubleshooting issues should it arise. Some companies also share IP addresses which give you another level of anonymity. As regards to your system or device, they cannot harm, and the worst that can happen is you lose your connection for a while. Purchasing an anonymous VPN service from the internet is easy. Many sites do reviews of the best Australian VPN services. Ideally, it is better to visit the provider’s homepage then you can make sure they offer all you need. There is also the option of buying a new router that has already been configured and tested as secure and is ready to work right out of the box. With these, it is a matter of connecting the new router to your home connection, and then you can use any device securely as easy as connecting to your home WI-FI. Either way, the more reputable VPN companies make it easy for you to sign up for their services. A VPN service provider is a company that passes your browsing requests through their VPN servers to the internet. They use a secure connection that your computer or device makes to one of their many servers. The more prominent companies have thousands of servers which are located in many countries. This they do to provide the best possible speed for your geographical location along with you being able to access content that is locked into a specific country. The VPN Company is just the middleman who makes sure that your connection is secure and protected. Unless they have a restriction in place, either for downloading or keeping a log of what you do, they are not interested in your online activity. VPN’s used to be quite technical to set-up, yet now the VPN providers know there are more and more people looking to use a VPN service. Some of the more popular VPN services are as easy as installing the software. From there everything is set to a default which is secure enough and allows you to browse immediately with no intervention. Other VPN services might ask you to choose a specific protocol that changes how your connection performs different tasks. The same can be said for router location, some services you can choose which router you wish to connect, and the software will give you the options in a list. For the average user, it might be a case of turning on the VPN service as not all are an always-on solution. When you sign up for a VPN service, and you are expecting privacy, you would feel a little upset to find they can, in fact, have leaks. These leaks will leave you vulnerable to being spotted, or it can be enough to block you from streaming your favourite content. To check for these, you can use a simple tool https://ipleak.net/ which gives a detailed overview of the status of your supposedly secure connection. Once the tool runs it is all laid out and easy to understand. The first box gives your IP address from the VPN. The next two sections are the crucial ones and if you see your real IP address while using a VPN in either them, you have either a WebRTC leak or a DNS leak. This is why it is crucial to get the best VPN service. As you can see from all of the VPN Reviews Australia has more than enough to choose from. A paid VPN provider can be worth much more than a free VPN service. If security is a prime concern for you, or your family, or your business it is worth the investment. At home, a VPN will pay for itself over and over again, with overseas content that can be watched to the downloading or your favourite sports. Now you can have access to all of it (VPN provider dependent) and at no extra cost apart from the VPN service. If you only use a VPN at home, it is worth considering a VPN router or updating your current router to use the VPN and give your devices simultaneous access and with the right provider unlimited bandwidth. Now you are guaranteed security and privacy that is always there for any device that is used in your home. Having a personal VPN can save plenty of aggravation and cost if a device stands the chance of being hacked. That alone should make the VPN cost worth the investment. The best VPN for Australians is one that has more than enough server coverage and speed is well catered for. Distance does have an impact on performance, yet the top 10 VPN providers try their hardest to resolve this as you can see from their VPN service ratings. If you do your homework and find the best Australian VPN that covers your needs, you will not regret it.